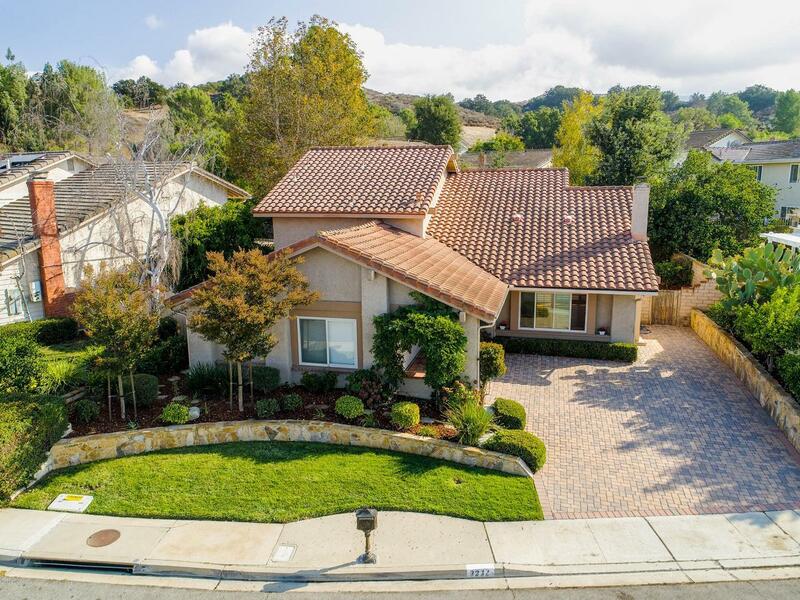 Lovely Suntree area with park across the street and this home boasts over 2600 square feet, with 4 very ample bedrooms, 3 baths, large family room and kitchen and lush landscaping. Paver driveway along with generous stone planters adds to the great curb appeal. Just refinished gleaming hardwood flooring in living and dining that features vaulted ceiling, fireplace, solar tubes, and plantation shutters. The dual-paned windows have been encased with warm wood trim. The rest of the main floor is tiled throughout. Convenient bedroom down, with adjoining bath, jack & jill bedrooms upstairs, each with own sink & vanity plus walk-in closets.. Spacious master features dual vanities, a walk-in closet and a bonus storage area ready to make into whatever you want! Bright, big kitchen has loads of cupboard and counter space, ample eating area. walk-in pantry, ss appliances ..there's a wine fridge too. 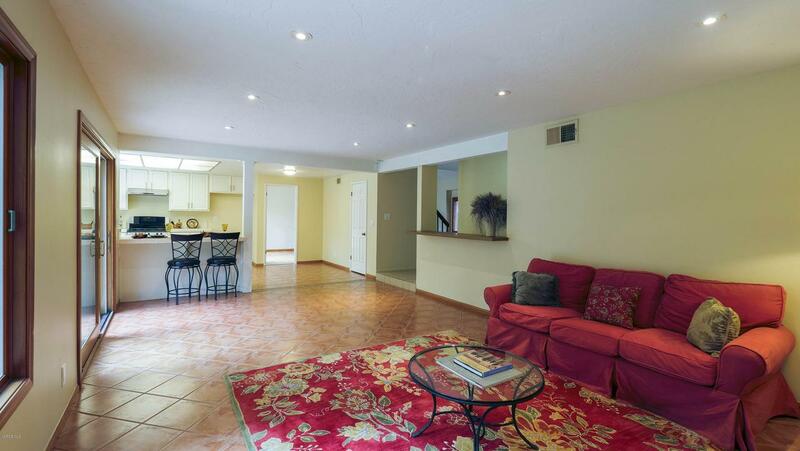 Family room large enough to accommodate a big family and features a wet bar. Backyard is lush and serene. 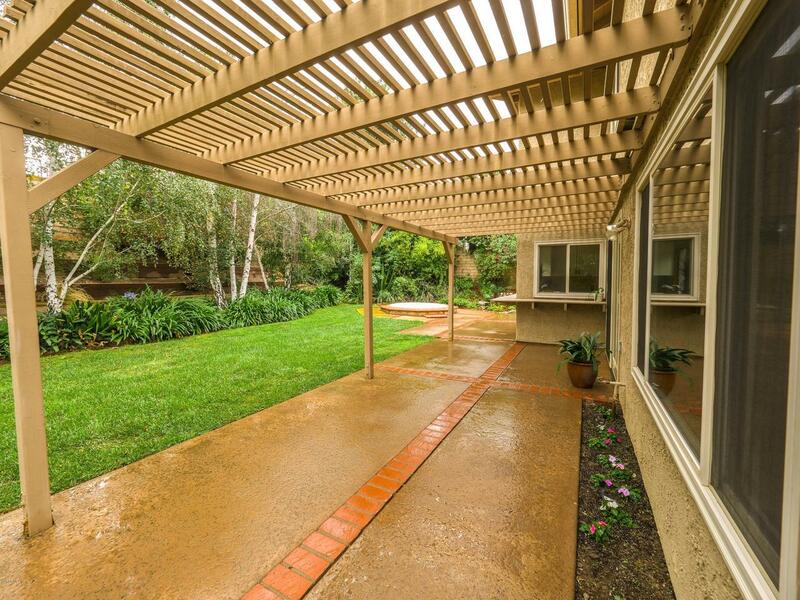 Covered patio has an extended patio all the way to the side entrance along with in-ground spa that has a brand new cover. Lovely trees and plantings including, citrus. Large inside laundry. Bathrooms were updated. A great place to call home! 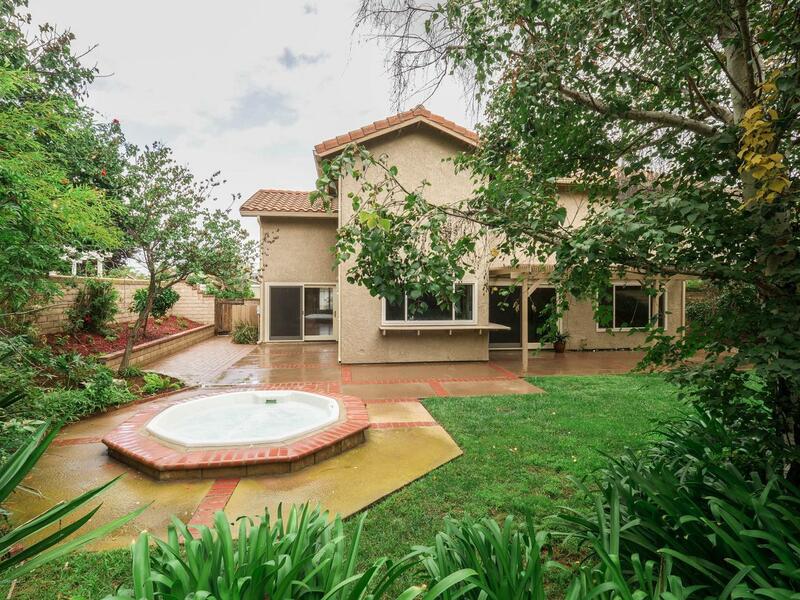 Sold by BRE#00601568 of Keller Williams Realty Calabasas. Listing provided courtesy of Shari Lekander DRE#00601568 of Berkshire Hathaway Homeservices California Realty.